Czech Italian Practice – CZIP: new perspectives and experiences for Czech students! From the 15th to the 29th of June 2013 EProjectConsult team will start the activities of the Czech Italian Practice – CZIP project, financed in the frame of Mobility IVT of the Leonardo da Vinci program. Our participants from The Secondary School of Electrical Engineering, Pardubice, Karla IV. 13 in Czech Republic are going to stay in the city of Barcellona Pozzo di Gotto for the period of two weeks. The overall goal of this project is to give them the opportunity to gain an experience in their domain, which is computer graphics, project management and photography. They will work in local companies, where they will have a possibility to deal with T-shirts design, printing, creating logos, brochures and leaflets and websites design. We will individually introduce each participant to his company as well as offer help, monitor students work, explain any doubts and resolve all problems. 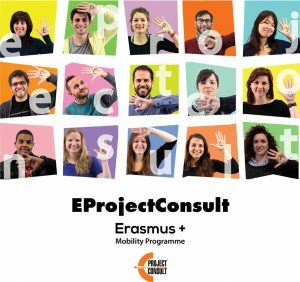 The team of EProjectConsult will make every endeavor to make this experience useful and unforgettable: when it comes to work but also to cultural exchange. While living in Barcellona Pozzo di Gotto, they will have a chance to get to know local habits, traditions and be acquainted with Sicilian people. Moreover, the students will have an opportunity to visit the other cities and towns in Sicily thus exploring the Sicilian wonders.